packing up orders is more fun with pretty string, fun postcards and wacky pencils. these postcards are now in the shop and the pencils will be soon. we had a blast coming up with funny phrases to put on pencils. can't wait to share the rest. hope they'll make you laugh. 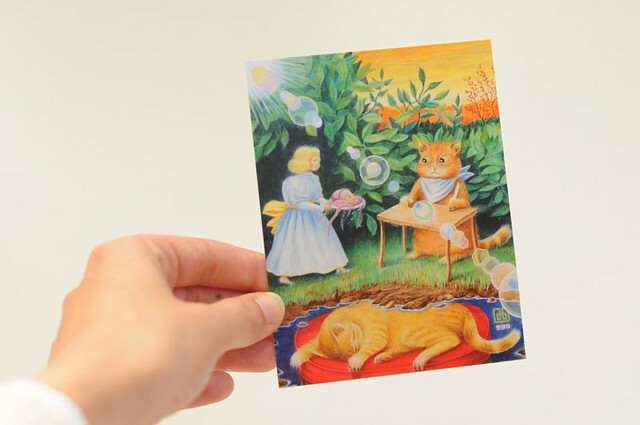 this postcard is one of david's paintings: beauty lives by kindness. i love it. and this one is one of my film photos: santa had a rough year. i think this would be a pretty funny alternative to a standard holiday greeting card. you lucky duck! you get to look at the real thing. :) (email coming soon). thanks! nothing like a withering santa to get into the holiday spirit. haha!